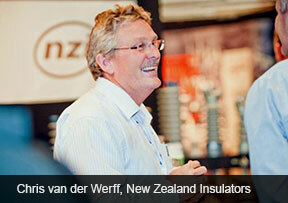 Welcome to nzinsulators.co.nz the website of a proud 94-year-old New Zealand manufacturing business. From a significant & historic site in Temuka, South Canterbury – it is NZI's pleasure to offer a product suite of HV, MV & LV electrical protection. Our reputation is based on understated product durability. We represent leading brands including NZI (made here in New Zealand), DTR Electric (Korea), Payer (Canada), GIG (Ukraine), AX (made for NZI), Avon Industries (NZ), NGK Stanger (Australia), Fulton Industries (Australia), Red Spot (UK), Bussmann by Eaton (India/UK) and Polesaver (UK). We'd like to emphasise that New Zealand Insulators is a local manufacturer, with 60+ production staff in our Temuka factory, making the items branded NZI. Not imported - actually made here, in the South Island of New Zealand. How can NZI compete against cheap imports - with the low wages, industry protection & no compliance costs in the developing world? Everyone asks this. Well, we own our 210,000 square foot Temuka facility, with cash in the bank. We have our own opencast mine in Kakahu, and operate with low regional overheads. We're flexible enough to make specialised products in short-run quantities, plus we contend that our insulators are better than import product. We supply a market that trusts NZI product made in Temuka. Yes, our clients agree to a price premium, but NZI's more-for-more value proposition competes well ... even with a weak US$ making imports appear cheap. Critical to the credibility of New Zealand Insulators is our NZI brand, stamped on the products which we manufacture. Only items produced in our Temuka factory are permitted to carry the NZI badge. Our 100-page 2018 Catalogue showcases NZI's extensive NZ-made product range, a complete polymer offering from DTR, popular top-end Payer preforms, a comprehensive range of Bussmann by Eaton fuselinks, glass discs from GIG, plus selections from Fulton, Avon & NGK Stanger. NZ Insulators is owned by four Kiwis, who are doing the hard yards to retain & expand a local New Zealand manufacturing capability in medium/low voltage electricity. 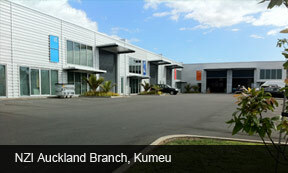 NZI continues to grow, winning back share and meeting customers expectations. We're rebuilding our production skill base. NZI isn't yet the size to be safe & strong - but we're getting there. Any issues/enquiries, call our GM - Chris van der Werff. He moves between Temuka and Kumeu so 027-7066205, email chris@nzinsulators.co.nz.